For many people, 4G technology now provides a viable alternative to fixed home broadband that’s delivered through a phone line or cable. As it uses 4G mobile network technology, you’ll get a high-speed broadband service that isn’t limited by the speeds you can get through a phone line or cable. You can also get your broadband connection set up quickly without an engineer visit, and there’s the flexibility to bring your broadband connection with you to other places. At present, Three offers a choice of two 4G-powered home broadband routers: the HomeFi B311 router which costs £22/month and the AI Cube B900 which costs £25/month. As the more expensive of the two devices, the AI Cube B900 supports higher download speeds on 4G (up to 300Mbit/s rather than 150Mbit/s). It also supports dual-band Wi-Fi and doubles up as an Amazon Alexa smart speaker. This means you can use the AI Cube to control smart home devices and for listening to music. Unfortunately, it isn’t currently possible to get the AI Cube on a shorter contract (e.g. on a one-month rolling contract like you can with the HomeFi). It is however possible to buy the AI Cube on Pay As You Go from £210. 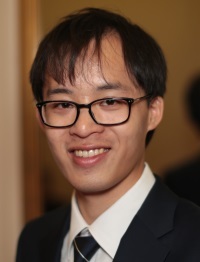 If you replace your fixed line broadband connection with a AI Cube router, it may be possible to cancel your landline connection. This can save you around £20/month, offsetting much of the cost of getting an AI Cube router. You’ll need to find an alternative way to make phone calls if you do this (e.g. using your mobile phone instead of a landline, or making internet-based phone calls using your AI Cube). The Huawei AI Cube B900 is Three’s higher-end 4G home broadband router. The router supports Category 6 LTE speeds (up to 300Mbit/s download and 50Mbit/s upload). However, most users will get a more realistic download speed of around 30Mbit/s depending on location. 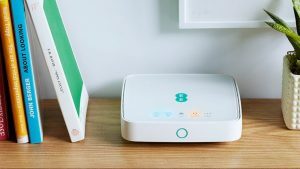 The AI Cube’s home broadband service can be shared with up to 64 devices at any given time using the dual-band wi-fi connection. There’s also an Ethernet socket for connecting a wired device to your network. In addition to working as a 4G router, the AI Cube also doubles up as a smart speaker solution. It has four built-in microphones with far-field voice recognition and a 360° speaker. This means you can use it in the same way as you would an Amazon Echo (for instance, to control your smart home devices, to make internet-based phone calls and to listen to music through online steaming services). The AI Cube’s interface allows you to control everything by voice, simply by asking Alexa to do something for you. In our opinion, there are some major benefits to choosing the AI Cube over the regular HomeFi router. For starters, you’ll get Category 6 LTE support giving maximum download speeds of up to 300Mbit/s (this compares to 150Mbit/s on the HomeFi). You’ll also get dual-band wi-fi support (including 802.11ac wi-fi at 5GHz) and the ability to connect up to 64 devices at one time. Combine this with the Alexa-powered smart speaker and you’re getting quite a lot more for your extra £3/month. 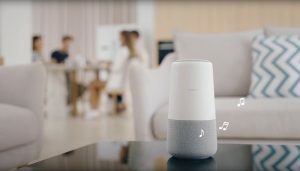 The AI Cube can be used to control your home and to listen to music, in addition to being a router. On the other hand, being a 2-in-1 device, there are some trade-offs to be made in the AI Cube’s design. For instance, the optimal location to place a smart speaker in your home is normally fairly centrally in the living room. This may sometimes differ from the optimal location for a 4G router which is often closer to a window sill (this is to maximise the signal strength of your 4G connection). The AI Cube also lacks support for an external SMA antenna, meaning this option isn’t available to you for improving the coverage on your device. For customers living in an urban area with fairly good mobile coverage, the trade-offs required to use an AI Cube are probably fairly small (you can benefit from faster speeds and the Alexa capabilities, and you probably didn’t need to use the external antenna capabilities anyway). However, for customers living in a rural area with much poorer coverage, the traditional router will probably be a much safer bet. You can see the full specifications for Huawei’s AI Cube B900 on Three’s website. As an alternative to both of the above, you can also consider buying a separate, unlocked router. 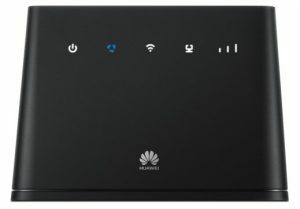 For instance, the Huawei B525 router is available for around £120. Like the AI Cube, it supports Category 6 LTE speeds (up to 300Mbit/s download speeds) and dual-band 802.11ac wi-fi on up to 64 devices. It also has 4 Gigabit Ethernet sockets, a RJ11 telephone socket and a SMA socket for you to connect an external antenna to the router. This can be combined with an unlimited data SIM card from Three, giving the best of both worlds (higher download speeds without needing to compromise on coverage). 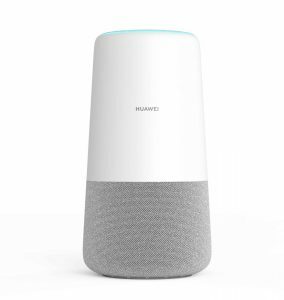 You can combine the Huawei B525 router with something like a standalone Amazon Echo speaker. This is available for about £90. A standalone Amazon Echo can be placed anywhere in your home: it isn’t necessary to balance this against where you’ll get the best 4G network coverage. The closest alternative to an AI Cube is Three’s regular HomeFi service. This costs £22/month with unlimited data. The HomeFi can also be purchased on a range of shorter price plans, and can be used on a Pay As You Go basis. For more information, please read our in-depth review of the HomeFi service or see the HomeFi on Three’s website. 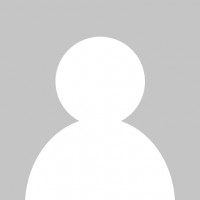 If you’d like to look at 4G-powered home broadband solutions from other mobile networks, you can also consider the 4GEE Home Router or Vodafone’s GigaCube. For more information, read our full review of EE’s 4G home broadband service or visit the EE website. Meanwhile, Vodafone’s GigaCube service comes with a Huawei B528 router. 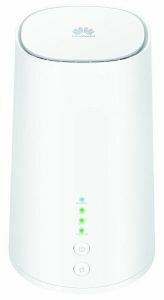 This has a similar cylindrical design to the AI Cube B900 router but it lacks the Amazon Alexa smart speaker capabilities. It is also restricted to only supporting up to 20 devices at a given time, whereas the AI Cube allows you to connect up to 64 devices. For more information, read our full review of the Vodafone GigaCube or see Vodafone’s official website. 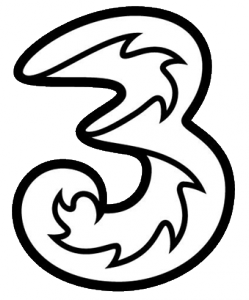 Three offers 99.8% population coverage on its 4G network and 98.3% population coverage on its 3G network. Before purchasing an AI Cube on Three, it’s strongly recommended that you check the coverage in your area. 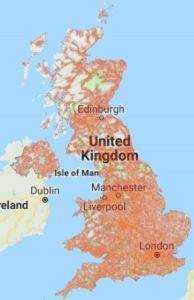 You can do this by entering your postcode on Three’s online coverage map. If you’re travelling abroad, it’s also possible to use the AI Cube in other countries through the Go Roam offer. For more information about the AI Cube and Three’s mobile broadband service, please see Three’s official website. We'd love to hear your thoughts and any questions you may have. So far, we've received 9 comments from readers. You can add your own comment here. I just got one AI Cube on Wednesday (4/4) and speed of internet is horrible. Mostly internet is so slow that is showing me that connection was lost. I have to reset it at least few times a day…so my experience is more than bad. I’m currently looking at buy the Huawei AI Cube B900 all I am concerned about is the download speed, as an avid gamer I need this to be good as possible and be able to handle 2 Xbox’s on simultaneously would you recommend that this is a suitable option? I’m no expert bit I’d avoid these options for gaming. Even if you get good download speeds the latency will be twice as slow as a normal broadband connection. Can you connect smart tv’s to this product? I also have a Sonos speaker. Would this connect to 4g internet rather than broadband? Yes, you can indeed connect your Smart TV and Sonos Speaker to the AI Cube. It just produces a wi-fi network that your other devices can connect to (only behind that, it uses 4G technology to connect to the internet, rather than a landline or cable like traditional home broadband). Having the same problem with Spotify . Hope they have an upgrade to sort this. I just got one of these on Tuesday (26/03) and was shocked by the download speeds, I generally range from 52Mbit/s to 70Mbit/s download speeds, I was expecting it to be in the region of 25-30Mbit/s. That’s really impressive stuff. It’s great to hear that you’ve been getting good download speeds with the AI Cube!